Astronaut Scott Kelly steps off a NASA jet in Stavanger, Norway, during a refueling stop. He is en route to Houston after landing inside a Soyuz spacecraft in Kazakhstan a few hours earlier. With three crew members back on Earth after a historic mission, another trio is still orbiting Earth on the International Space Station until their mission ends in June. NASA astronaut Scott Kelly floated to a landing in Kazakhstan last night alongside his crewmates Mikhail Kornienko and Sergey Volkov inside the Soyuz TMA-18M spacecraft. Kelly and Kornienko were in space for a record-setting 340 days encompassing Expeditions 43 through 46. Volkov lived in space for 182 days across Expeditions 45 and 46. Expedition 47 Commander Tim Kopra and Flight Engineers Tim Peake and Yuri Malenchenko are continuing their mission on the orbital lab conducting science and maintenance. The orbiting crew is relaxing today after yesterday’s departure activities and waiting for the next set of station residents to arrive. NASA astronaut Jeff Williams and cosmonauts Oleg Skripochka and Alexey Ovchinin will join Expedition 47 when they launch March 18. This remarkable man risked his health, might even die to advance the Space program. He says thoughtful insightful things. Respect is earned not just given. We live in high tech society we don’t have coffee in the mornings with friends before work instead we text each other. Well all that high tech shiny android, apple whatever started with NASA which brought us 900 years into the future in 3 decades. I commend all of them, a cooperative effort of this magnitude makes the UN look like a total failure. Kudos to the NASA and this remarkable orbiting station. How many of you would trust your life in 15 year old car? Keep up the good work NASA and hats off to Scott. 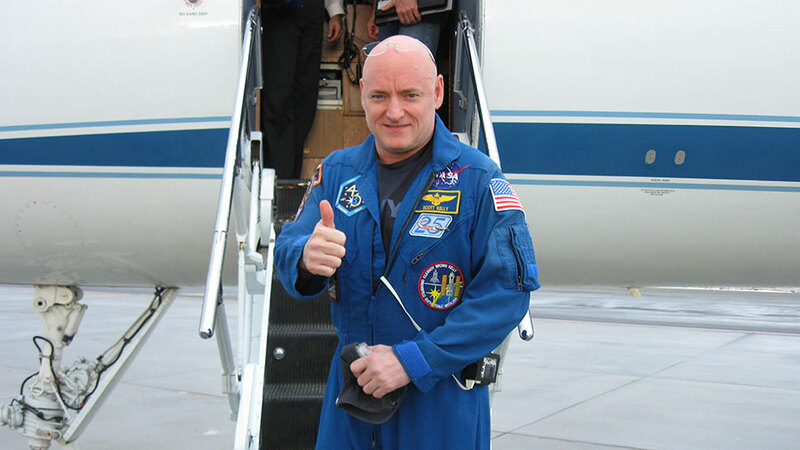 Welcome home Scott Kelly! We read about you in our 2nd grade class. Stayed up to watch nasa tv very pleased all went well you are an American hero please run for President! Welcome back to planet Earth! We have been keeping up with your journey in our 3rd and 4th grade classes. You are a inspiration for our children and our country! Awesome Pics!! Congratulations Scott and to all the crew who helped him through his long journey. America is proud! .. dear allow me say something about your courage,, simply you are person of the galactic year! Congratulations. The great crew of high hopes. welcome back to the wonderful planet EARTH. Very proud of you all. Welcome home! Happy to hear that everything went ok!